Non-surgical abortions, sometimes called "medical abortions," are performed in the first 9-10 weeks in the first trimester. Non-surgical abortion can be administered in pill form (otherwise known as Mifeprex or RU-486). Mifeprex is approved by the FDA for non-surgical abortion. This non-surgical method of abortion will stop your pregnancy from growing and vaginal suppositories will help expel your pregnancy. There is a small statistical chance of failure with this method, so you must be physically healthy enough and willing to undergo a surgical abortion in the unlikely event that this non-surgical method fails. In addition, you must be able to commit to 2 or more visits to the office. What are the advantages of Mifeprex? What are the side effects of Mifeprex? Mifeprex blocks a hormone needed for your pregnancy to continue. When used together with another medicine called misoprostol, Mifeprex ends your pregnancy. Mifeprex followed by the vaginal insertions is approximately 98% effective. Because Mifeprex comes in pill form and is taken by mouth, you can usually avoid surgery. Also, because it works very early in your pregnancy, Mifeprex allows you to take early action to end your pregnancy. Bleeding and cramping are a normal part of the process. The bleeding can be heavier than a normal period and usually lasts from 9-16 days. In some cases, women may have severe bleeding and then would need to contact the clinic or their doctor immediately. Your provider will instruct you on how to handle any pain, nausea, headache, vomiting, or diarrhea that could also occur. The FDA, which has tested it for both safety and effectiveness, has approved Mifeprex. 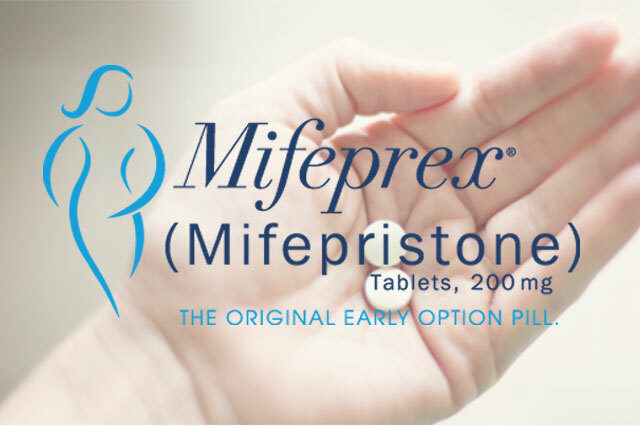 In the past decade, almost 700,000 women in Europe have safely used Mifeprex to end their pregnancies. It is now approved for use in more than 23 countries.